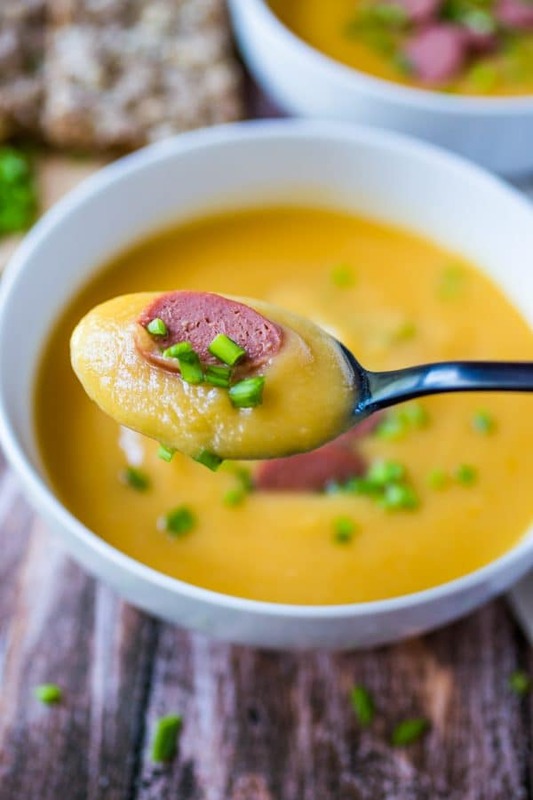 Celebrate Oktoberfest with this creamy kartoffelsuppe german potato soup recipe and it’s made quick and easy in only 15 minutes with the Instant Pot! Optional vegan instructions are included. 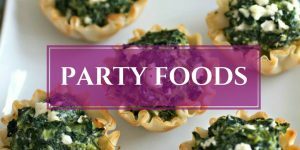 I’m partying it up this year with a group of my fellow food bloggers for Oktoberfest Bash 2017! We’ve got the ultimate list of recipes for the best Oktoberfest around. To make an exceptionally flavorful Instant Pot soup, use the freshest and highest quality ingredients available. All of my veggies for this recipe came from an organic local farm and really gave the soup an amazing depth of favor. I also used the farm’s all natural, grass-fed beef wieners and they definitely kicked the soup up a tasty notch! 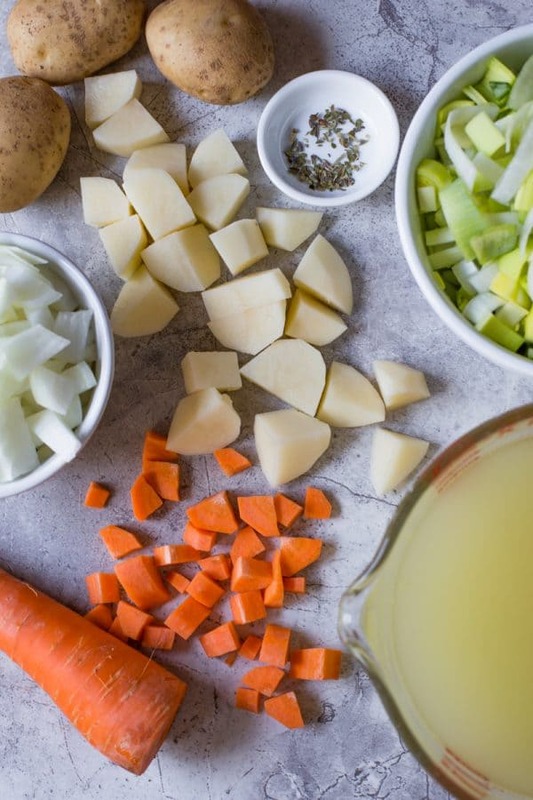 Unfortunately, I haven’t visit Germany yet, but when I was doing research on how to make a traditional kartoffelsuppe German potato soup, I came across many recipes where it was thinner in consistently. I prefer a thicker soup, so I used 4 cups of broth in my recipe. To make a thinner soup, use about 5 cups of broth. Leeks are one of my favorite vegetables and I could (literally) eat them every day. Not surprisingly, most people shy away from them because they think they are too hard to clean. I’m here to tell you, they aren’t hard to clean AT ALL!! All you do is cut off the leek’s dark green parts and the root end, cut them lengthwise down the middle, then cut into 1/2 inch moon slices. Put the leek slices in a large bowl of water and mix them up in the water with your hands, separating the pieces to get at the dirt inside, for about 30 seconds or so. Lift the leeks out of the water with your hands and transfer to a cloth or paper towels to dry off. Now you have clean leeks and you’ll see all of the dirt has fallen onto the bottom of the water bowl. So simple! The same technique can be used to clean any sandy/dirty vegetable (especially greens like spinach). 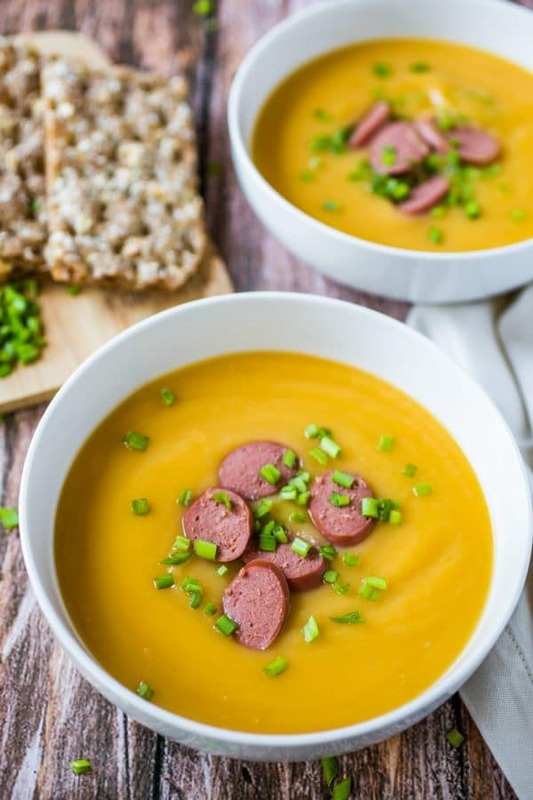 Hope you try this Instant Pot kartoffelsuppe German potato soup for Oktoberfest or whenever you want an easy, hearty, healthy, and delicious meal! 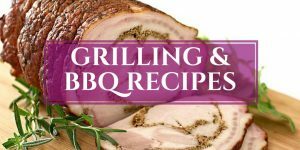 Don’t forget to check out all the other Oktoberfest Bash 2017 recipes from my fellow bloggers below. 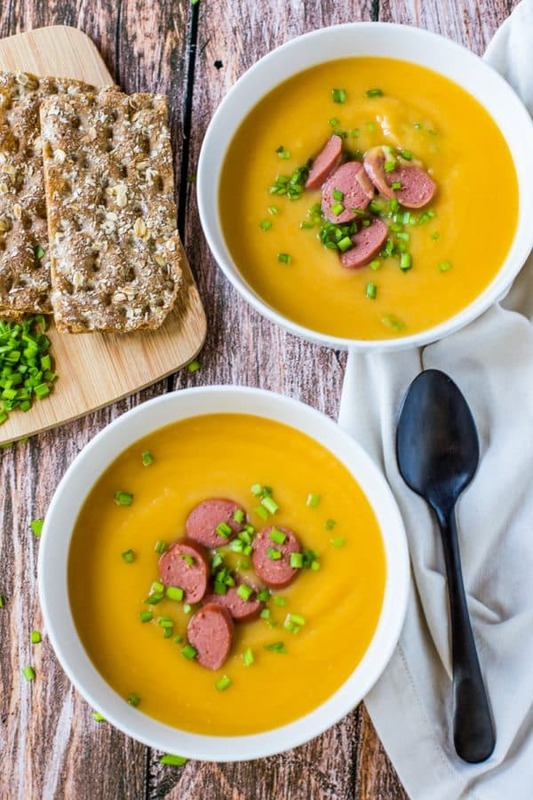 Celebrate Oktoberfest with this kartoffelsuppe German potato soup and it's made quick and easy in only 15 minutes with the Instant Pot! Cut off the dark green stem and the root off the leek (save the green parts to use in homemade broth). 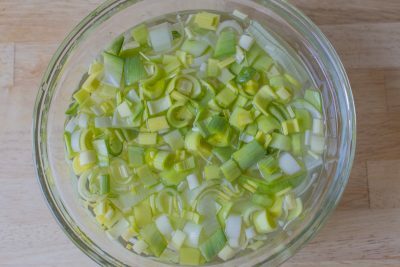 Cut the white and light green parts only of the leek lengthwise down the middle, then cut into 1/2 inch half moons slices. Place leek pieces in a large bowl of water and separate the pieces with your hands to clean the dirt off. Lift the cleaned pieces out of the dirty water and set aside. Throw out the dirty water. Turn on the saute button on the Instant Pot and add the bacon. Cook for a few minutes, until lightly browned and oil is released. Remove the bacon and set aside. Add the leek and onion to the bacon grease in the pot and saute for 3-5 minutes, until veggies are wilted. Turn off saute option and add the carrots, potatoes, broth, and marjoram to the Instant Pot. Cover with the Instant Pot lid; making sure it's locked and the steam value is in the closed position. Select the manual 15 minutes high pressure. When the soup is finished cooking, wait 10 minutes for the Instant Pot to cool down or release pressure manually by taking a hand towel and carefully opening up the steam value on the lid. It is safe to open the lid once all steam has been released. Using an immersion blender, puree the soup until smooth. Add salt and pepper to taste and stir in the sliced wieners to heat through. Serve in large bowls and a sprinkling of garlic chives, if desired. Leftovers can be stored in a tightly covered container in the refrigerator. Soup can be frozen for up to 3 months. Thaw in the refrigerator and blend the soup again before heating to get a smoother consistently. I am a soup lover through and through and this is a bowl of pure goodness. Can’t wait to try! Pinned! Such a great soup! 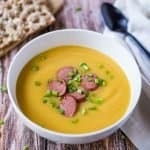 Love potato soup and the weiners on top are perfect. Perfect for Oktoberfest! I love it, Karrie! The flavors, and that color!! I have been all over Europe, but never been to Germany, like you . Pinned it. I love leeks as well, so thank you for the nice tip on cleaning them! 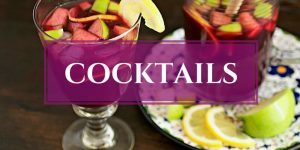 What a great collection of recipes from fellow bloggers! So happy we got to participate ! Potato soup has long been one of my favorite comfort foods–I’m totally with you on thicker rather than thinner! I can’t wait to try this. YUM! Have a nice Oktoberfest time! Karrie, this is a beauty! I love how you made it thicker and it is such a gorgeous color! This soup can go waaaay beyond Oktoberfest. So stoked you joined us, will buy you a beer one day, face to face – I am sure of it!! I love potato soup, but I’ve never had German potato soup. The color makes me smile and I can’t believe it’s dairy free. I really need to get one of these Immersion Stick Hand Blenders. They look so cool, I’ve always wanted one. Wow! the soup is looking so yummy generally, soups color are dark brown or reddish but something different as the color is so rich and the dish is healthy also. Thanks for sharing. Loved it! its soo soup weather here in Belgium, txs for sharing this! I like my soup on the thick side too, so this German Potato Soup looks perfect to me! I love the color and the addition of the wieners! 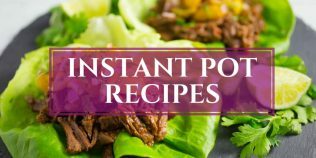 I really need to get one of those Instant Pots and make a double batch! i remember the first time i learnt the german word for potato and I giggled, I still do! Kartofell is such a great word! this soup looks fantastic, it’s almost making me excited for the colder weather! Mmm such a warm comforting soup for Fall!! My Mom (who is German) made a soup like this growing up and it was a family favourite. Yum! 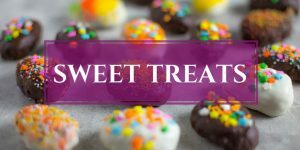 I can’t wait to try it – have a great weekend Karrie! Very nice. Perfect for a fall day with a beer. Love it! 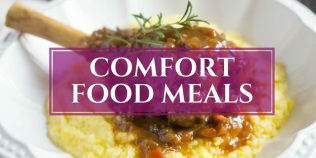 This looks like the perfect comfort food for fall! Can’t wait to cook it in my Instant Pot!! 5-6 years ago I would make soup only once – maximum twice a year. Lately I’ve been enjoying soups often (I think up to 10 times some years. I also think it might be related to my aging haha). Anyways, although I’ve experimented with different textures, my favorite is creamy soup (Yes, I don’t add cream either). This soup looks perfect, Karrie! Potatoes, leeks, carrots, bacon….mmm what not to love about it, eh? Love soup and I have been looking for a new pressure cooker recipe. This fits the bill. Man that color! Can’t wait! I can’t wait to try this luscious soup! This looks so velvety smooth, and what a beautiful color too! I have never had Kartoffelsuppe, but I’m a fan. And it’s a definite YES on the wieners please! The chilly days of fall are here and this soup looks like just what I need! It looks so tasty, warm and comforting! I made this last night, and….it was delicious. Didn’t change anything, well except that I put dried chorizo strips on the top. Other than that, I did what you said and you didn’t steer me wrong. Keeper! That’s awesome Jaxx! So happy you tried it & liked it! And chorizo strips sounds like a killer upgrade and I’m going to try it. I am soooo in the mood to celebrate OKTOBERFEST but I am not really sure I Am going to be able to this year….. So a soup like this might have to just dooo which honestly looks like a party in my mouth, so I am good! I LOVE leeks too, but for some reason I have never made anything with them. This soup looks right up my alley!! Your soup looks terrific. My husband and I are in Germany right now and soup is usually served as one of the courses of each evening meal. Such a beatiful creamy soup, I’d love to try that. It does remind me of my grand mother favourite soup. I’m glad you promote German cuisine, it’s pretty rare on non-German blogs. My wife was German and I made a similar recipe for years. I used Boars Head Ring Bologna and added about a cup of heavy cream. It’s delicious. Thank you so much for your comment Mark! So happy you enjoyed this soup. I’m adding the Boar Head’s bologna and heavy cream to it next time I make it! I do not have an insta pot…how can I make this in my regular soup pot or slow cooker? Stove-top: In a large pot, saute leek and onion with the bacon or in olive oil. Add remaining ingredients and bring to boil, reduce heat to medium-low and cover pot. 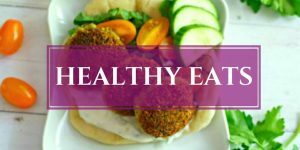 Cook for about 30 minutes or until veggies are tender. Puree soup. Slow cooker: Saute leek and onion in bacon or olive oil in a pan, transfer to the slow cooker with remaining ingredients (start with 4 cups of broth since liquid does not boil off with slow cookers. You can add more broth later to thin soup when pureeing, if needed) . Cook on low for 6-7 hours. Let me know if either of those work for you and enjoy the soup!